The LORD replied, Because they forsook the teaching I had set before them. They did not obey Me and they did not follow it, but followed their own heart and followed the Baalim, as their fathers had taught them. Assuredly thus says says the LORD of Hosts, he God of Israel: I am going to feed that people wormwood and make them drink a bitter draft. I will scatter them among nations which their fathers never knew; and I will dispatch the sword after them until I have consumed them. The assigned Psalms speak of God as the defender of the righteous. They also, like the lections from Jeremiah and Matthew, mention God’s destructive side. One ethic–obey God’s rules and stay on the good side of God or disobey them and suffer the consequences–unites these readings. 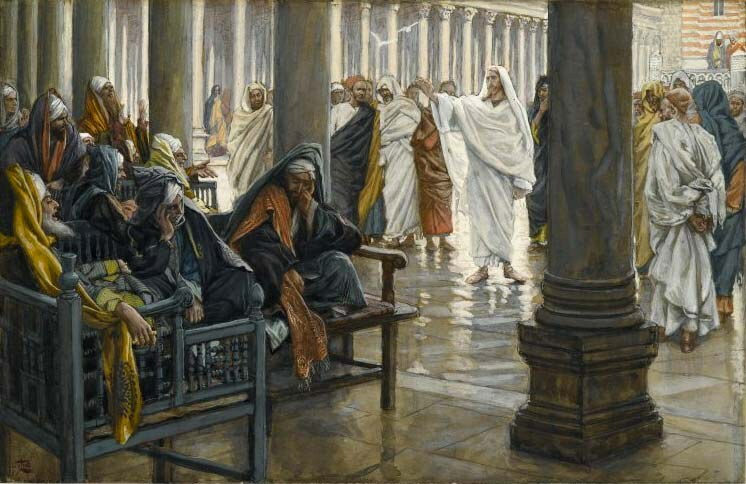 There is suffering for righteous deeds sometimes, of course, as the examples of Jesus and uncounted martyrs attest, but it is better to suffer for being on God’s side. We need to avoid false generalizations, such as those found in Prosperity Theology. There is no metaphysical righteousness machine whereby one inserts the coins of holiness and receives an automatic reward, a sort of quid pro quo. We cannot buy grace. If we could do so, it would not be grace. Also, bad things happen to good people and good things happen to bad people. The strong element of human free will, applied for nefarious ends, has warped societies, cultures, and subcultures. But nothing so warped lasts forever. The readings from Jeremiah and Matthew come from cultures which ceased to exist a long time ago. And people have changed, altering their societies, cultures, and subcultures with them. The modern Civil Rights Movement in the United States of America comes to mind immediately. Yes, many attitudes are slow to change in some circumstances, but hope for repentance remains. From that fact I derive much hope.